Who depends on whom? Humans on nature, or nature on humans? I came across the best explanation, or rather illustration, when I was reading Education for Sustainability (EfS) at London South Bank University. In the study guide on Science and Culture in EfS, a diagram on ‘Dependant relations of sustainability’, adapted from Wilden (1987), illustrated how humanity relates to the rest of nature. Let’s visualise this framework as a stack of plates. At the bottom is Non-living Parts plate (e.g. sunlight, soil, rock, water, air, etc). On this lies the Plant World plate. On this we can find the Animal World plate. 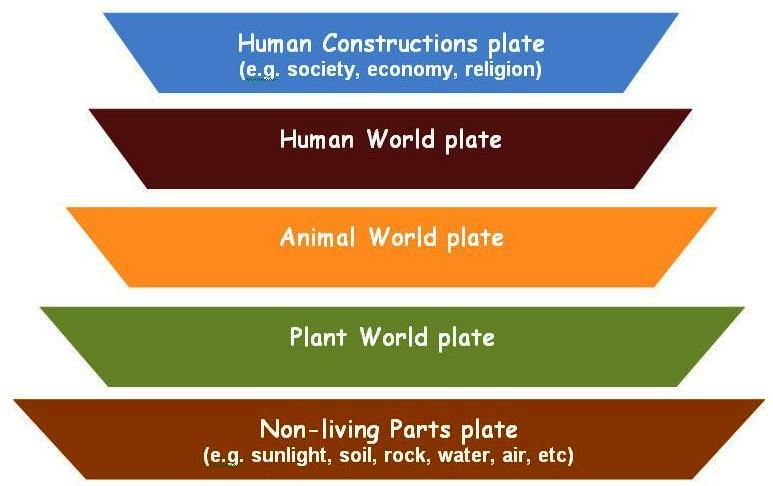 On this comes the Human World plate. On top of the human world, we have Human Constructions plate, such as society, economy and religion. The rule of the game is this. If you remove a plate, all those above will be gone too but those below will remain intact. Perhaps you could try it over dinner (yes, it’s a plates game!) and see…. Maiteny, P. and Parker, J. 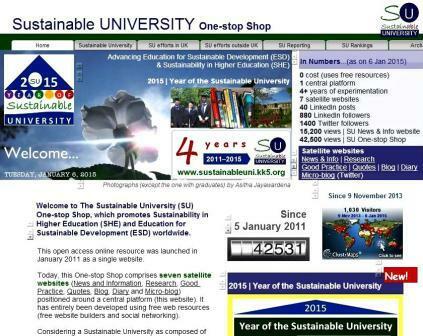 (2002) Unit 6 Study guide: Science and culture in education for sustainability. London: Distance Learning Centre, South Bank University. Wilden, A. (1987) The rules are no game: the strategy of communication. London: Routledge and Kegan Paul.